Batting gloves made to fit women! 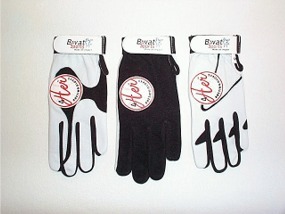 The 4-Her Batting gloves are available in sizes xs,S,M,L and XL. They are designed to fit a female players hand, they are not a man's glove sized down. 4-Her Batting gloves are the original ladies batting glove; they are comfortable, durable made of top quality leather, offer extra protection and have four way spandex at flex points.